Kari is an attorney at Honsa Rodd Landry practicing exclusively in family law. 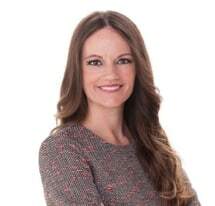 Kari represents her clients in all aspects of family law, including but not limited to, prenuptial and postnuptial agreements, divorce, legal separation, custody and parenting time actions, paternity actions, post-decree issues, and order for protections. During these legal interactions, Kari assists clients in their understanding of the complexities associated with their case whether it be custody and parenting time issues, child support issues, spousal maintenance, property division, and non-marital claims and tracing. Prior to joining Honsa Rodd Landry Kari worked as a law clerk at the Hennepin County Family Justice Center. During her time as a law clerk, Kari assisted a judge with writing orders exclusively dealing with family law issues. Kari saw first-hand courtroom procedures, litigation strategies, and legal writing skills that prove effective in her family law practice. Kari applies this knowledge on a daily basis to effectively manage her clients’ case and achieve a positive outcome for her clients. Her personal interests include traveling, golfing, fishing and reading.